Our 3 hour AED course will cover all of the essential training when it comes to treating a cardiac arrest. 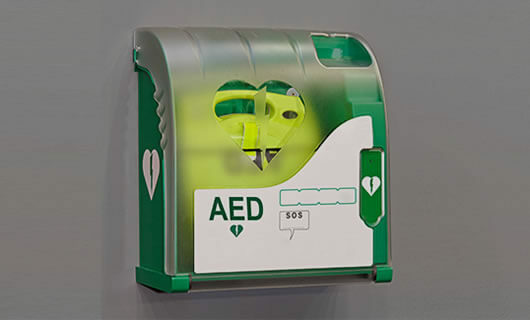 You will be shown the warning signs to look out for, how to administer Cardiopulmonary Resuscitation (CPR) and the correct way to use the AED equipment. This training session will be delivered to you by a trained professional who will often come from an emergency service or healthcare background. This means that you will be shown how to safely and effectively deal with a patient suffering from a cardiac arrest from someone who has experienced this situation many times in the past. To gain an understanding of the best way to treat a cardiac arrest and be able to confidently use the defibrillator equipment. As this is a standalone module, individuals with little or no first aid training can attend the AED course. It can be paired up with any of our other first aid courses if you want to improve your knowledge further. According to The British Heart Foundation, there are around 175,000 heart attacks in the UK each year, which is one every 3 minutes. This means that everyone will benefit from this training and by doing it you could save a life. There must be a minimum of 8 people for this course to run and the course can be held as a stand alone course or an add on course. Contact us on 01772 433080 or via email at info@centaurtraining.co.uk to make an enquiry or to book.